The Institute of Fluid Machinery (FSM) of the Karlsruhe Institute of Technology (KIT) is a long-time costumer of ILA. It owns both, a 15 Hz Stereo-, as well as High-Speed Stereo PIV System. 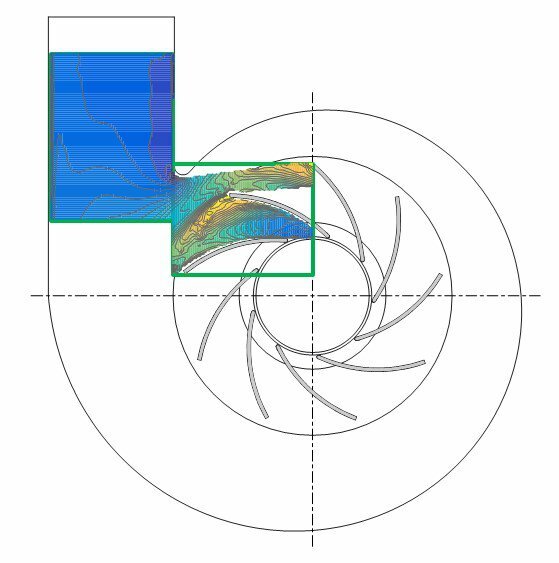 To gain deeper insight into the flow behaviour of a centrifugal fan near its tongue, 2D-2C PIV measurements have been carried out within the volute and the blade channel. 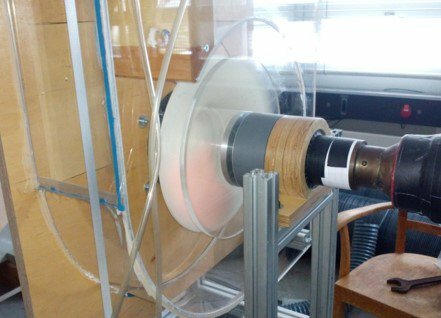 Experiments were done using a closed-loop test rig. PIV Measurements were taken along the characteristic curve for various operating points. 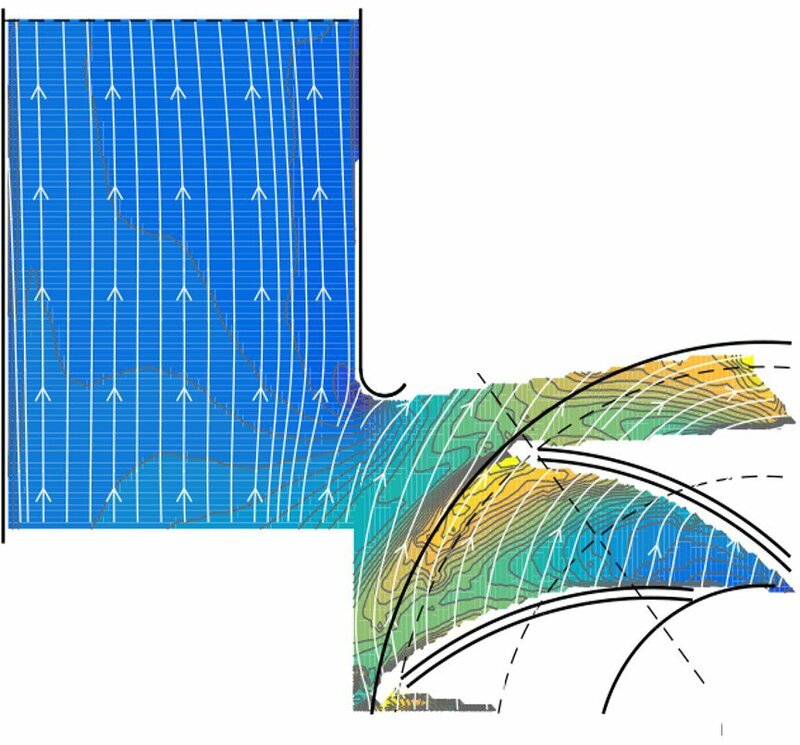 The gathered flow information serves as basis for an extensive validation of CFD calculations.